Many consumers believe they only need umbrellas when it’s raining, but that’s not the case as the items are also great for avoiding damage from the sun. 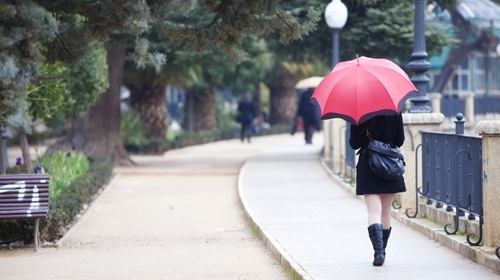 A recent study in JAMA Dermatology shows that umbrellas block anywhere from 77 to 99 percent of ultraviolet radiation. Indeed, umbrellas may be some of the best tools for avoiding problems caused by constant exposure to the sun. Additionally, sunscreen doesn’t always provide sufficient protection from the sun’s rays, so Brundha Balaraman, a dermatology researcher at the Washington University School of Medicine in St. Louis, told Reuters that people must take extra steps. “In addition to sunscreen, I often encourage people to engage in other sun-protection measures,” Balaraman said. Small business owners can ensure that the sun doesn’t bother their customers by distributing branded umbrellas during promotional giveaways. Clients will appreciate the functional marketing gifts for the rest of the summer as they shield themselves from the sun’s harmful rays. Further, umbrellas are effective from an advertising perspective because they expose everyone around the users to a company’s logo and corporate imagery, which leads to increased brand recognition and may help increase sales in the long run.